As of December 2012, Russia’s cosmonaut recruitment drive has selected eight new cosmonaut trainees, including one female prospect. Anna Kikina, 28, a native of Novosibirskin in western Siberia, is now the second active female candidate in Russia, joining Yelena Serova. She is the only recruit of the eight for whom going into space was not a childhood dream and one of three women who managed to make it into the final stage of selection. “I decided to try out when I found out an ordinary person now has a chance of going to space,” Kikina, an engineer, said at the press conference. In 2011 the Federal Space Agency expanded the hiring procedure to all Russians with a degree in higher education. Previously the recruitment process for cosmonaut trainees was limited to military pilots and engineers already employed in the space industry as well as a small percentage of professional medics and scientists from the Agency of Science. To be eligible, the applicants cannot be older than 33 years, must meet the physical requirements, must have graduated from university, and have at least five years of working experience. The selected recruits are “test cosmonauts” and have to pass the cosmonaut training, before they are selected for any mission. It takes six to seven years to complete the comprehensive, three-stage training program, which means that these recruits will travel into space no earlier than 2018. Only about 300 people applied for the first open recruitment drive, which is probably a function of the career being quite demanding and very poorly reimbursed at a maximum of 70,000 rubles (1750 Euro) per month. By comparison, the most recent NASA recruitment cycle, started in 2011, had 6,372 applications, including approximately 1,000 women. Since 1983 NASA has sent 45 women into orbit. So far only tree Russian women – Valentina Tereshkova, Svetlana Savitskaya, and Yelena Kondakova- have travelled into space. This is due to the fact that Valentina Tereshkova had an incapacitating bout of what some call space sickness on her first and only flight into space, which reduced female participation for a number of years. It was later claimed that the reason for her medical troubles was the poor quality of the food available. According to Sergei Krikalev, a former cosmonaut who is currently in charge of manned space flights at Yuri Gagarin Cosmonaut Training Centre outside of Moscow, the reduced female presence in the Russian space program is not gender discrimination but the result of a smaller female presence in the military and the space industry from which recruits were traditionally drawn. 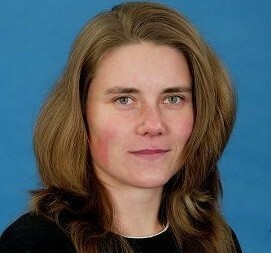 Yelena Serova, the other Russian spacewoman trainee, is expected to travel to the International Space Station in 2014.